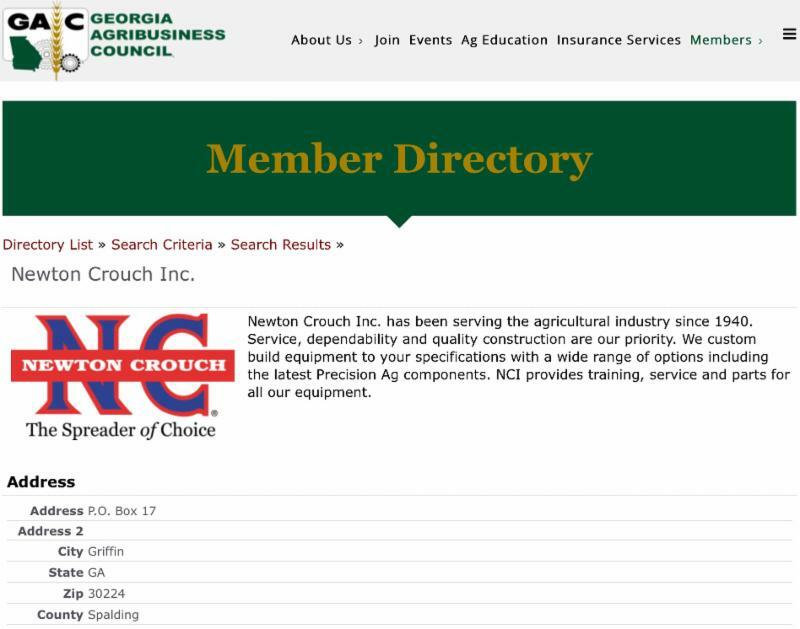 One of the advantages to the updated Georgia Agribusiness Council website was to lay the framework for an online directory of GAC's current membership. Members can now utilize this tool in addition to having a printed copy distributed every two years. This new option allows you to view all current members and even search by county, city, or industry as well. We will be happy to add your company logo and a brief description of your company as well - just contact GAC's Jill Hansard at jhansard@ga-agribusiness.org or call the office at 706-336-6830. Thank you for your membership and support of GAC! Harvest Celebration will be held on November 16, 2018 at the Cobb Galleria Centre. C ountry music powerhouse, Sammy Kershaw will serve as our entertainment. 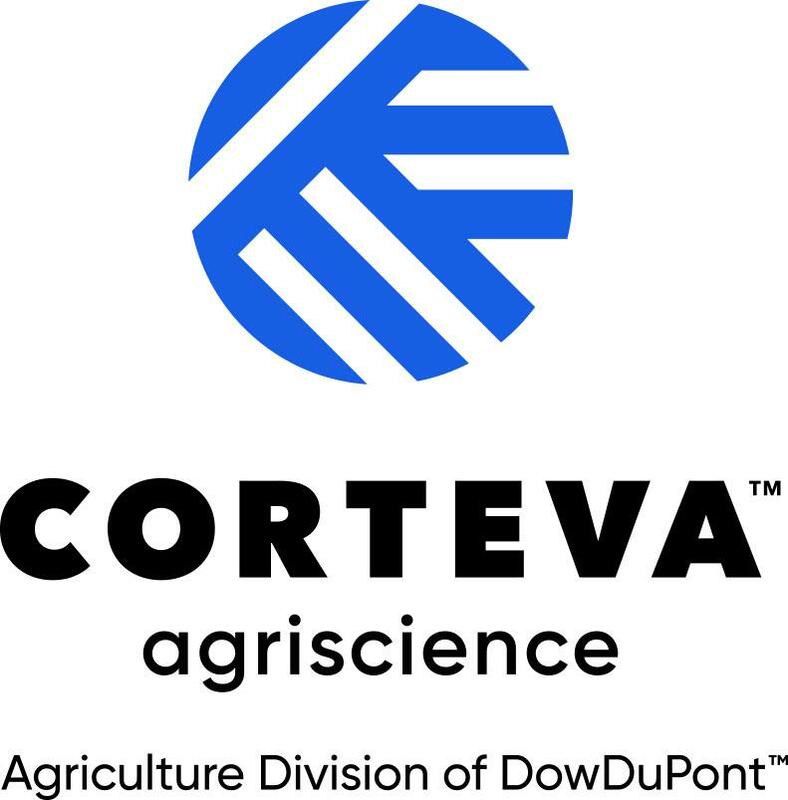 Harvest Celebration is key to the advocacy efforts of the Council, and we are very grateful for the support provided by our many members and industry friends. We hope to have you attend this first-class, engaging evening that you will want to share with friends, family and co-workers. Early Bird tickets are now on sale! Take advantage of this promotion to be entered into a drawing for one of twelve great prizes! These include: A one-night's stay on November 16 at the Renaissance Waverly Hotel; one of three field of Dreams ticket books; or one of eight autographed items from Sammy Kershaw. This Early Bird promotion ends July 27th. Click the button below or call the GAC office at 706-336-6830 to secure your tickets today. Check out this quick video of photos from recent events coupled with one of Sammy's greatest hits, "She Don't Know She's Beautiful." GAC continues to push for immigration reform by asking lawmakers to include the “AG Act,” a federal H-2C visa worker program for agriculture and agribusiness in any upcoming DACA (Deferred Action for Childhood Arrivals) that is supposed to surface in mid to late June. We have been very vocal on the importance of passing the Ag Act as a part of DACA since we raised the issue in a letter to the Georgia delegation last February 1. Since that time, we have followed up with key Georgia leaders asking them to contact House Speaker Paul Ryan to reinforce the importance of this ag worker visa program. 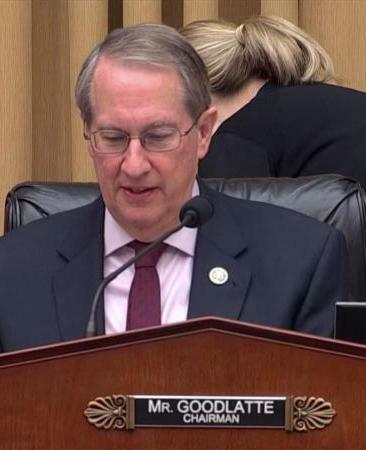 US House Judiciary Committee Chairman Bob Goodlatte’s H-2C AG Act program will address many of the temporary labor problems we have on farms in Georgia. While in DC in early May, we also met with Chairman Goodlatte’s Judiciary Committee staff to express our desire for the Ag Act. With the national unemployment rate at 3.8% , workforce challenges are more dire than ever without a viable federal visa program. 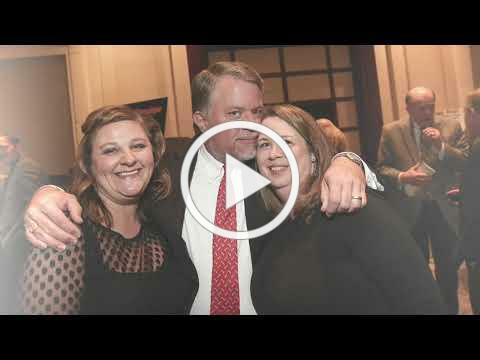 Have you selected a candidate for Lieutenant Governor to replace Casey Cagle? What are you experiencing with labor at your farm or agribusiness? Okay so far. We have been lucky. It is always challenging This year is no different. Finding workers is very difficult this year. It's almost impossible to find workers. I can't imagine it getting much worse. I had to start using a federal visa program to keep a workforce. GATE: Much needed changes to the GATE program are included in HB 886. Here is a comparison of the current GATE program vs. what changes are in the new law. AG WATER METERING: SB 451 fu rther clarifies ag metering responsibilities without mandating burd ens on ag water permittees. Georgia EPD will contract the reading of all irrigation meters and requires them to also contract out irrigation meter installation, maintenance, and repairs. AG EDUCATION: SB 330 provides for the Georgia Department of Education to establish an agricultural education pilot program for elementary schools to be initiated in the 2019-2020 school year. FORESTRY: HR 51 and HB 85 provide for a constitutional amendment to update the current formula for determining the fair market value of forest land as part of the very important Forest Land Protection Act (FLPA) . Now that it is on the November 2018 ballot, it must receive over 50% of the vote to go into effect. 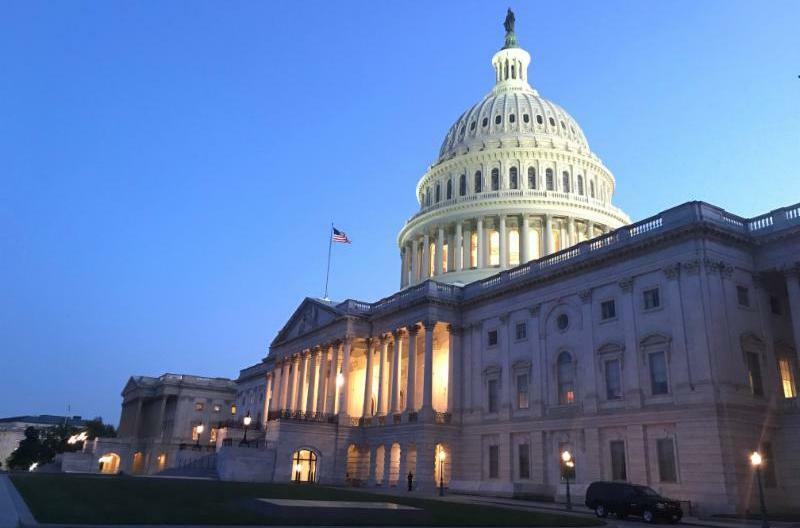 FY 2019 STATE BUDGET: The FY 19 Big Budget delivers a long list of benefits to programs impacting agriculture. RURAL PLANNING: HB 951 establishes the Center for Rural Prosperity and Innovation and will be located in Tifton at ABAC. 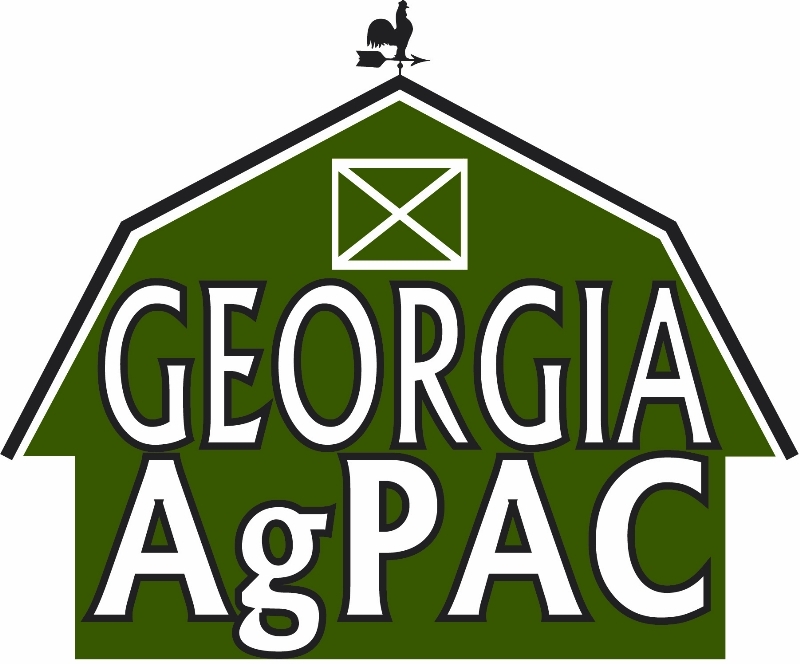 Thank you to those that have already donated to our Georgia AgPAC as we work to support elected officials that are friends of our industry. In the past few weeks, AgPAC was able to support several candidates in their Primary races. these funds proved very helpful. We still have a long election season ahead of us - more friends need our support. Please call our office at 706-336-6830 or click here to download the Georgia AgPAC donation form to be a partner in this effort. We are stronger together. Thank you. 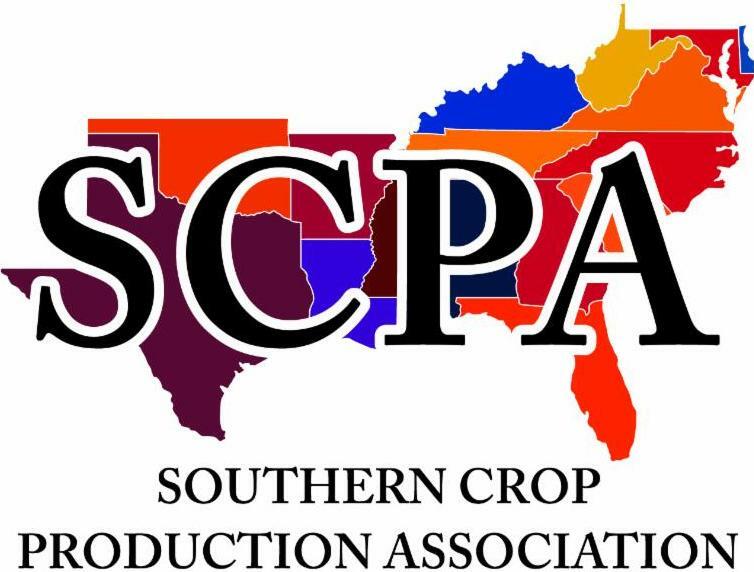 We were proud to join the Southern Crop Production Association (SCPA) for their annual trip to Washington, DC in early May. The trip covers multiple states with over 60 agribusiness association and ag chem interests participating this year. GAC was pleased to help reach several in Georgia’s delegation as a part of this effort. The issues included some that have been on our DC wish list for the past few years, including the re-authorization of the Pesticide Registration Improvement Act (PRIA) and the reaffirmation of the Federal Insecticide Fungicide Rodenticide Act (FIFRA) as the primary guiding regulation of the pesticide industry. With bills struggling to get through the Senate, we were encouraged that the 2018 Farm Bill could be the vehicle to get these issues to the finish line. That was before the political antics took place on May 18, that saw the Farm Bill stall in the House. All is not lost, as negotiations are expected to advance later this month and our efforts to maintain these key provisions will continue. It is worth noting that most in the Georgia delegation is very supportive of these issues that will improve the timeline of bringing crop protection products to the market. We also hope to see the farm bill used to fix the badly broken Electronic Logging Device (ELD) regulations. This summer the American Agronomic Stewardship Alliance (AASA) will be inspecting bulk pesticide storage facilities in many states, and Georgia is one of them. AASA last inspected bulk pesticide storage facilities in Georgia in 2015. The AASA inspections are no charge to the ag retailers or distributors. The pesticide manufacturers who ship bulk product to you are requesting and funding the inspections to ensure your facilities are in compliance with federal laws for repackaging and containment. This is an industry program, it is NOT a government inspection. Bulk pesticide storage facilities will receive a letter in the coming weeks informing you that an AASA inspector will be calling to set up an appointment. They will do their best to avoid the busiest times of the season, but the inspections must be completed this summer. This goal is to help you with compliance and we appreciate your cooperation. To view and download the AASA inspection checklist that the inspectors will utilize when reviewing your facility, go to the AASA website at www.aginspect.org and click on the “Inspection Program” feature. An area of emphasis this year is compliance with USEPA Bulk Pesticide Repackaging regulations. Recently USEPA fined several retailers in the Midwest for not having current repackaging agreements on file at their office, or for failing to properly label bulk containers and portable refillable containers correctly. AASA developed a two-page compliance guide to help retailers better understand the requirements for the repackaging regulations. This guide is available at the AASA website at www.aginspect.org under the “Resources” section on the website. If you have questions about AASA feel free to call the AASA office directly at (309) 827-2774. Thank you for participating in this industry stewardship program. Super Sod / Patten Seed Co.
Center for Agribusiness & Economic Dev . Cochran Oil Mill & Ginnery Inc.
Coley Gin & Fertilizer Co. Inc.
Funston Gin Co. Inc .
Georgia Feed & Grain Association Inc.
Georgia Pecan Growers Association, Inc.
Georgia Vocation Ag Teacher Assoc. Majors Electric & Mechanical Co., Inc.
National Peanut Buying Points Assn. The J.L. Morgan Co, Inc.
Special thanks to all of our Star Sponsors. Please call our office at 706-336-6830 or click here for details . Thank you! There is much to celebrate as AgriTrust enters 25 years of service to agribusiness. This is such a great milestone for GAC's program that has provided excellent workers' compensation insurance to a very diverse agribusiness industry. This successful, self-insured program has grown to cover over 700 companies and returned over $7,225,000 in dividends to date. Created by the Georgia Agribusiness Council, AgriTrust of Georgia provides a stable, affordable source of workers’ compensation insurance to the agribusiness industry. We encourage you to consider this proven program for your workers’ compensation insurance needs. 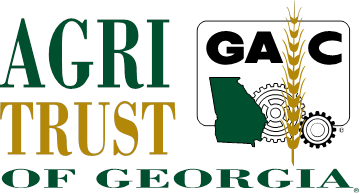 For more information about AgriTrust of Georgia, please visit www.agritrust.biz or contact Eddie Kinnard at 678-753-0016. GAC is proud to partner with the Asmark Institute for quality training programs . As a GAC member, you have access to their variety of programs and tools. Asmark is recognized nationally for providing training solutions tailored to the unique needs of agricultural retailers and other related agribusinesses. Their Safe & Sound Online Training Management tool is ideal for organizations seeking a comprehensive training solution. Professional quality DVDs are geared for use with monthly, annual and new hire safety training. Asmark's 31 training subjects form the most extensive library of ag-specific subjects anywhere. Click here for more information . Many of us spend way too much time in our vehicles, but these podcasts could help pass the time and provide some entertainment and insight you just might enjoy. They are free to access via iTunes. 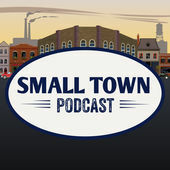 The Mayor of Ocilla, GA, Matt Seale provides informative interviews with other small town officials, discussing their stories and the stories of their communities . Interviews have included leaders in Colquitt, Midway, Vienna, and more. They explore the joys and struggles of small town living…and issues we all find familiar. He also interviews candidates for office, which has been informative as well. 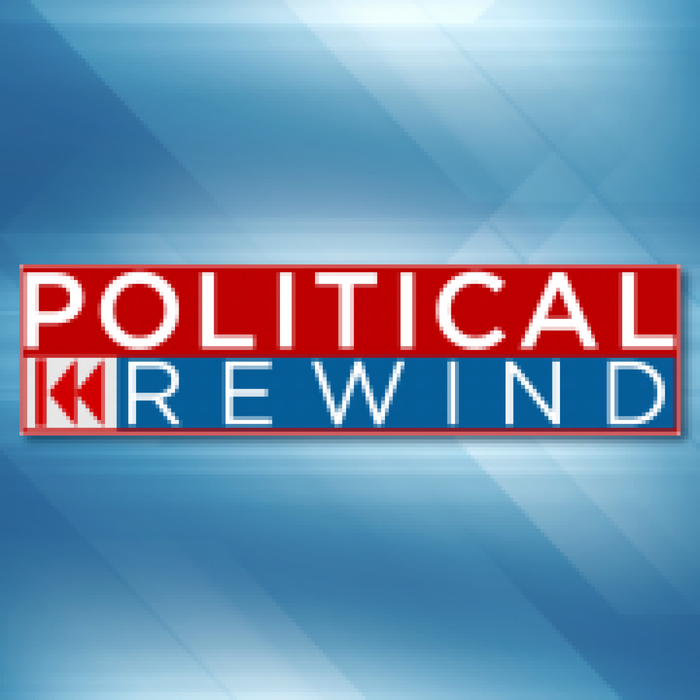 A wide array of political figures are part of the NPR and Georgia Public Broadcasting initiative that explore elections and political news three times each week. They break down issues, speaking directly to the decision makers. They have been known to capture some agribusiness issues in their discussions…and occasionally make us yell at the radio. We are blessed with many great leaders in our organization and across our state, but there are none better than Mr. Garland Thompson of Douglas, GA. June 5th marks his 90th birthday! He has been an agribusiness advocate his entire banking and finance career, plus he is a wonderful ambassador for rural Georgia. We are thankful for his service on our board of directors for decades, including serving as Chairman in 1985. HAPPY BIRTHDAY, GARLAND! 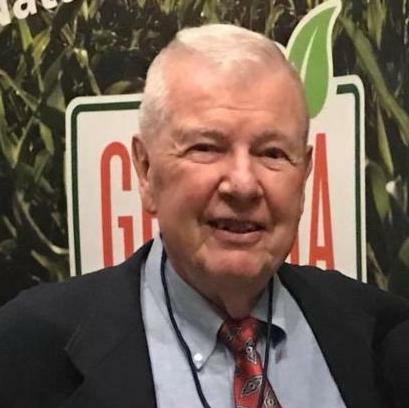 * Georgia agriculture lost a good friend May 29th with the passing of former House Agriculture Committee Chairman Robert Ray . This photo was taken just a few years ago at Dickey Farms. He loved peaches and pecans, but more than that he loved agriculture . He served in the Georgia House for 24 years. His funeral was held on June 1 followed by a private burial at the family cemetery. 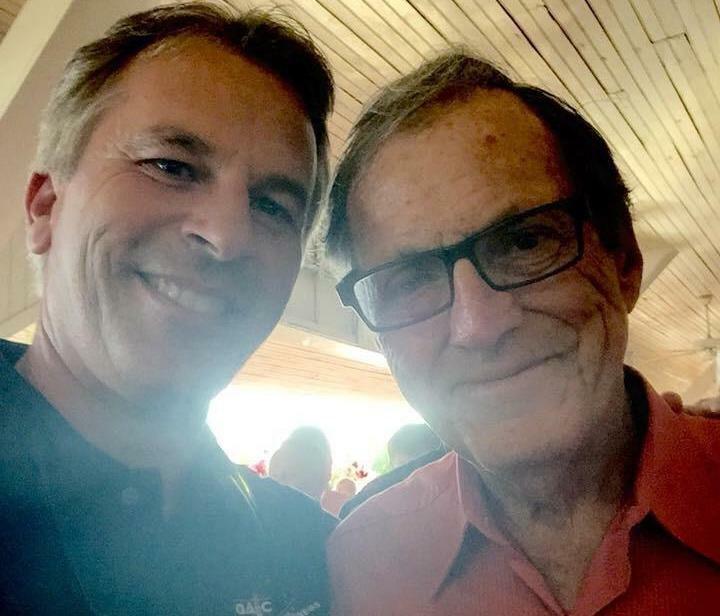 Our prayers are with the Ray family and his many friends. May he rest in peace. * The Georgia Feed and Grain Association will have their 71 st Annual Summer Convention on June 21-24, 2018 at the Omni Amelia Island Plantation. Some of this years featured speakers are Allen Douglass , Risk Manager, INTL FCStone, Jody Hall , General Manager Ethanol Marketing & Trading, Flint Hills Resources, Zippy Duvall, President, American Farm Bureau Federation and Hugh Nall , President, Southern Ag Carriers. Visit Georgia Feed and Grain Association for more information about attending or sponsorship. * The Annual Convention of the Georgia & Alabama Seed Associations will take place July 9-10 at the King & Prince Resort on Saint Simons Island. Contact Billy Skaggs for registration information. 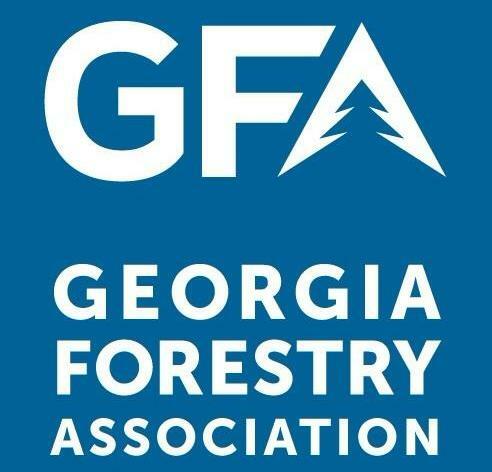 * Georgia Forestry Association's 2018 Annual Conference and Forestry Expo is being held at the Westin Hilton Head Island Resort & Spa in Hilton Head South Carolina on July 16-18, 2018. This conference draws a diverse crowd of forest landowners, forest-industry professionals, and forest-based businesses to learn about forest advocacy issues in our state and to network with others in the forestry community. For more information click here . * The Georgia Plant Food Educational Society will have their annual Summer meeting July 23-25, 2018 at the fabulous Ritz-Carlton, Amelia Island. Click here for more information and registration. * The 8th annual Georgia Cattlemen’s Association Summer Conference on July 26-28 will be held at the Villas by the Sea on Jekyll Island. There will be events and entertainment for the entire family. GAC looks forward to attending this event. Click here for information . 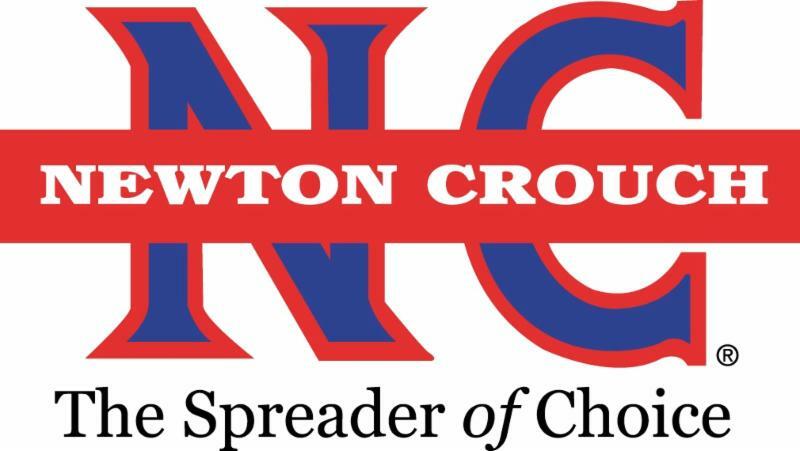 This information is intended for members of the Georgia Agribusiness Council, Inc. No part of this document shall be copied, edited, or redistributed in any form without express written consent from the Georgia Agribusiness Council, Inc.